Since going full-time for Graham Projects I’ve had the honor of investigating, activating, and improving numerous public places in Baltimore and beyond. 2016 was a great year for making place happen with inspiring people. I am thankful. At the invitation of the Waterfront Partnership, Melvin Thomas and I made a 103’ long Harbor Hopscotch. 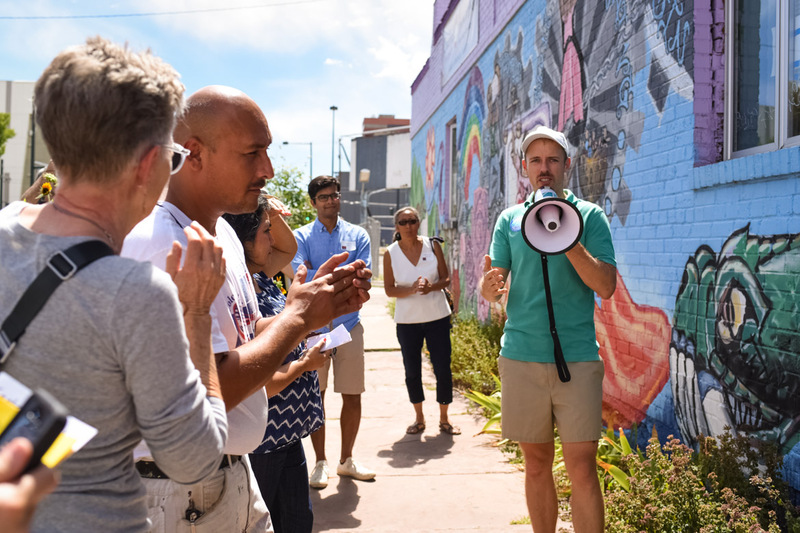 My New Public Sites – Five Points Denver walking tours and immersive map installation went gangbusters at RedLine’s 48 Hours of Socially Engaged Art Summit. Along the way, I was honored to share the megaphone and learn from half a dozen local speakers. With support from BikeMore and Rails-to-Trails Conservancy, my home street Auchentoroly Terrace got a temporary Footprints Crosswalk to help pedestrians better connect with the Druid Hill Park Farmers Market. Working with an inspiring network of cultural organizers across Baltimore, I helped lead Citizen Artist Baltimore get-out-the-vote vote efforts. 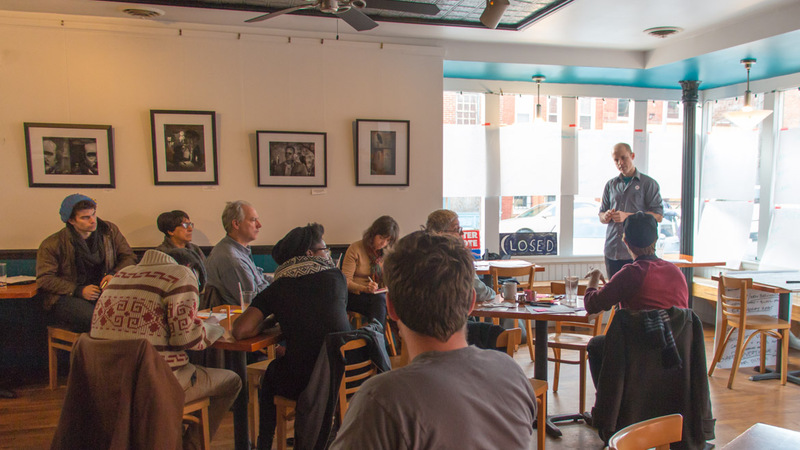 Bigly surprises aside, we informed local candidates of the values of our city’s diverse arts and cultural communities and educated voters on the importance of local races and ballot initiatives. I was honored to be invited by Baltimore Heritage to join their board of historic and cultural preservation advocates. I’m excited to be working with them on saving Baltimore’s most meaningful places. I had a fun time making water loop while redesigning Dance & Bmore’s website. May I do the same for you?